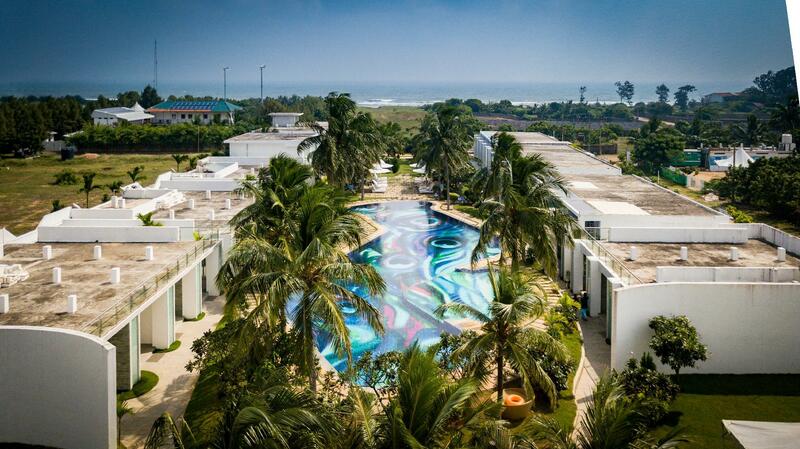 Heeft u een vraag voor Grande Bay Resort at Mahabalipuram? Tijdens uw bezoek aan Chennai zult u zich snel thuisvoelen in Grande Bay Resort at Mahabalipuram, dankzij de hoge kwaliteit en de goede service. Het levendige stadscentrum is slechts 0.8 Km verwijderd. Dankzij de praktische locatie liggen alle belangrijke trekpleisters in de buurt van het hotel. Het Grande Bay Resort at Mahabalipuram biedt gasten superieure dienstverlening plus een breed scala aan voorzieningen en is toegewijd om uw verblijf zo comfortabel als mogelijk te maken. Het hotel biedt 24-uur roomservice, gratis wi-fi in alle kamers, 24-uur beveiliging, dagelijkse schoonmaak, post service om gasten een maximaal comfort te garanderen. Alle accommodaties beschikken over doordachte voorzieningen om een ongeëvenaard gevoel van comfort te garanderen. Het hotel biedt een uitstekende variëteit aan recreatieve faciliteiten, inclusief zwembad (buiten), zwembad (voor kinderen), tuin. Het Grande Bay Resort at Mahabalipuram is een slimme keuze voor mensen die reizen naar Chennai: een ontspannen verblijf is gegarandeerd. It was last minute booking and got it lucky to get rooms. L attitude 49 restaurant food was great, Swimming pool was clean and family had great time. Some feedback already provided to Resort Manager Mr. Samuel at the time of check out hope that will be taken care. Rooms are spacious, Staff were good. One suggestion as beach approach is little far can resort help old people if not coming by private vehicle a drop and pick in Morning and evening may be 2 hours each slot. This might simplify approach to beach for travelers with out personal vehicles. Had very nice experience here. The staff is very polite and serve well. Excellent restaurant with multiple cuisine. Had dinner and breakfast. Nice preparations for both. For breakfast they had a huge buffet. Well maintained resort !! The downside is the access to the beach .. other than that everything was perfect ! The staff were so friendly ! We went thre for the new year party ! The food was gr8 !! 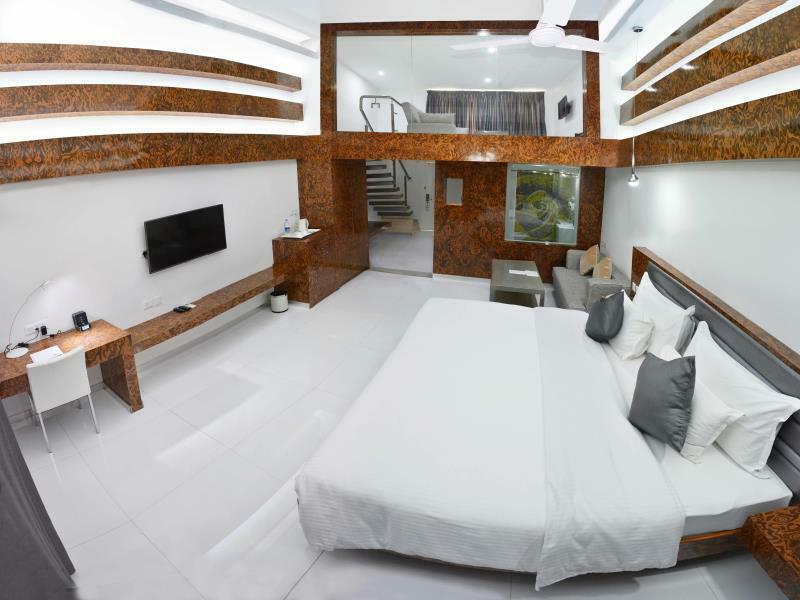 And the rooms are jus super clean ! Will stay there again !! Awesome!! Very good experience. I had a stay with my two kids. They took very good care. All the staffs are very nice and very good behavior. Ambience was very nice. Our stay was very pleasant. Sea beach is in walkable distance. My both kids enjoyed the swimming pool facility also. OMG! From the moment we walked in the service was excellent. REception gave us an Upgrade which was a pleasant surprise and appreciate that. Very friendly staff all round and willing to do a little bit more to make your stay even more pleasant. The rooms were very spacious and the service great. The pool is really the highlight and had a wonderful stay. Would definately repeat my stay in this hotel during my next visit. Keep up the great job. I booked the duplex room. Very comfortable with balcony and private gardens. Beautiful comfortable large room. Very good staff. Well pleased. I do travel to Chennai a lot and use lots of hotels. This was the best in every aspect. Including the restaurants bar and room service. Booked again for next week end. We were a group of 3 families with 2 kids each and we booked 3 duplex rooms. The cost of duplex rooms are on the higher side. We reached there around 3PM and the rooms were kept ready by the time we reached. We were welcomed with a welcome drink and immediately taken to the room. When we requested for change of one of the room for better facility, it was immediately acknowledged and were moved to different room within 10mins. 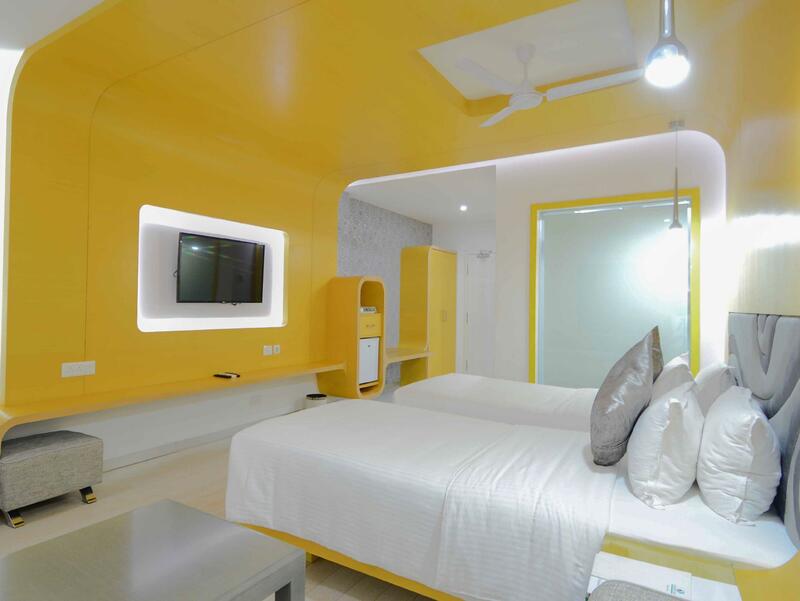 The rooms were clean and very well maintained. We also liked the design of the duplex room, which comes with a small private lawn on the backyard and a balcony on the first floor. They have a large pool which is also well maintained. Should mention that their staffs were very kind and friendly. The food was also good. The only con is, they do not have direct access to the beach. You will have to walk for about 5mins to reach the beach. Apart from that it is an excellent place to spend time with family and friends. I would have loved it even more if there was a direct, safe access to the beach. I had a short two day trip stay in Grande Bay. Very nice resort. The pool is so clean, The morning south Indian breakfast is simply superb. Friendly staff. I highly recommend. Beach is too far and it’s not safe to go there at night. We saw a group of guys drinking near the beach. It is not a private beach. Not many choices for vegetarian. Quite disappointed. No direct access to beach, water in swimming pool not clean. 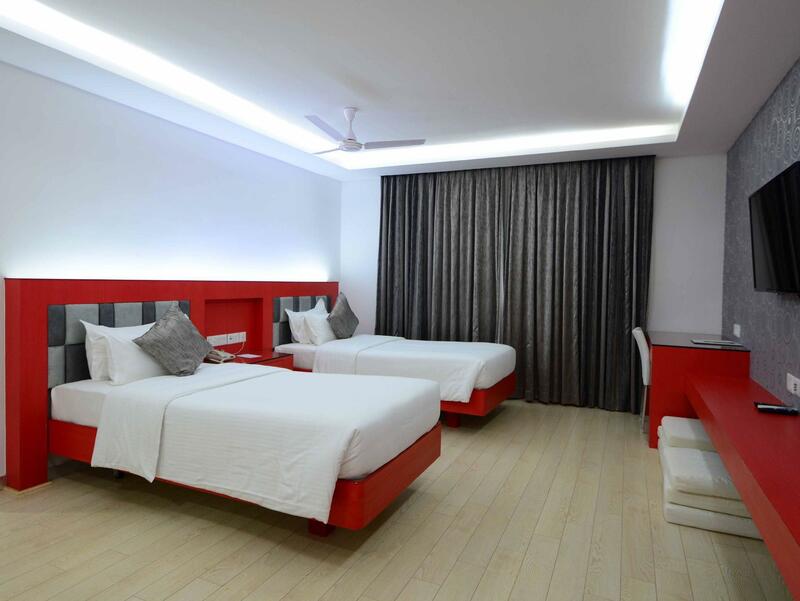 Luxurious hotel with good facilities. Excellent breakfast buffet. Location is right on the beach and the resort land area is large.. Too dangerous to swim there but in the morning you can see the fishers pulling in their bag net and sorting the catch. Just a few minutes by car from Mahabalipuram town centre and bus stop. Food in the hotel is pricey but presumably that is not your concern, if you're staying here. The rooms are well appointed and have nice verandahs for sitting outdoors. There is a nice pool but unfortunately there were only men using it when we were there, and my daughters felt so uncomfortable being stared at when they tried to have a swim. This place is located right at the entrance of mahabalipuram city. This place is clean and well maintained. The staff are pleasant . This place does not have a private beach but has access to a nice beach from the side road. The food is expensive but you should expect that from a place like this. The breakfast buffet was generous with selections from Indian and continental choices. My stay here was pleasant except for the bathroom that had a musty odor that seem to come back even after cleaning . Th only minor negative is the walk to the beach is a couple of minutes away and the property is not beachside. Everything else in terms of facilities, room hygeine etc is spot on. Was surprised to learn that it is 4 years old as the rooms were very well maintained and looked brand new. Pool was also well maintained. We spent few days in this hotel as weekend getaway from the rush of Delhi.Didn't have high expectations, wanted to experience something new. The hotel is nice and clean, services corresponds to the number of stars of the hotel. Originally we planned to stay at the sea, but this was not an option, access to the sea is through public access road and beach itself is not equipped with the amenities, allowing guests to stay there for the longer time. There is nowhere to sit or lay and there is no shade on the beach. Beach itself is very nice and water seamed to be clean as well. Hotel staff confirmed, this is going to be construction focus of the year. Dining experience was excellent thanks to the helpful staff. There is a long list of the Indian and continental meals in the menu, but we didn't choose anything from the list. We were allowed to instruct chef with the own receipt for the fish cook and this made our day - the meal was exactly as as our home. Internet connection had connectivity and bandwidth problems, recommending to enhance coverage and change the provider to get better speed and lover aggregation levels. At the time of our stay, many families with the kids stayed at the hotel, making it little bit noisy, but still on acceptable level by us. Swimming pool, spa were clean and on good level of the service. There was no bar at the swimming pool, you could order the drink to the place of your sunbathing. Overall, very good experience, corresponding to the number of the stars. Want to point out one big differentiator- staff customer focus. They act the way you make them your friends and feel as at home. Nothing was impossible for them, they acted the way our requests were accommodated to our satisfaction. My mother and I stayed at Grande Bay for a 4 day visit to Mahabalipuram. I chose the place based on the reviews and I am so glad that I did. Our two-storied suite was gorgeous. Even though we visited after one of the worst late season monsoons in Chennai's recent history, everything, starting from the trip from the airport to the stay, went perfectly. Many thanks to the excellent staff everywhere. My compliments to the chef - we ate all our meals at the resort. And a heartfelt thank you for the birthday cake. I have been traveling for many years and that simple gesture made this one of the most memorable trips. I think the amenities and a personal beach space is making this property a set back. the point of going to a beach resort is not fulfilled as they are making you to go for a public beach and it is not safe beyond a particular time. for me paying couple of thousands extra to Taj fisherman cove makes more sense if you really want a beach holiday. Great! I love the swimming pool right infront of our room. My daughter loves it! My husband loves the food and location. Beautiful environment. Very convenient to go out since hotel provides motorbike and bicycle for rental. On top of this, if you wants to take auto to go around then you just need to step out from hotel and they are plenty. The food is awesome! I truly recommend. We absolutely loved our stay at the Grande Bay. The property is true to its pictures and 5 star tag. The room opened up to the swimming pool and my lil one was shuttling between the beach (close proximity) and the pool through the day. The breakfast spread was lavish and the staff super friendly. The standard of the room was great. Absolute must try if you like a great pool.